Welcome to the Hawthorne Cottages, offering a rare opportunity to purchase an affordable new home within the city of Boise. 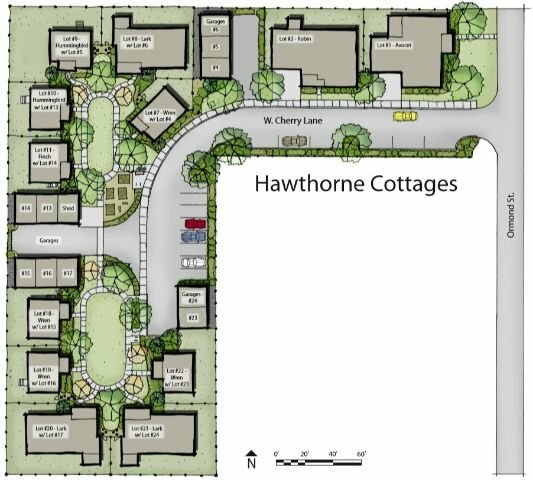 Located minutes from downtown and I-84, homeowners at the Hawthorne Cottages are ideally positioned to enjoy a wide variety of shopping, dining, and entertainment. Explore all new subdivisions in Boise and find the perfect place on WeKnowBoise.com. South on Vista Ave from Overland Rd. Turn left (east) on Targee St, then right (south) on Ormand St to Loveland Ln, Boise, ID 83705. For the best selection of Boise homes for sale at the Hawthorne Cottages, don't delay - contact us online or call our experienced Boise neighborhood specialists at (208) 391-4466 today.